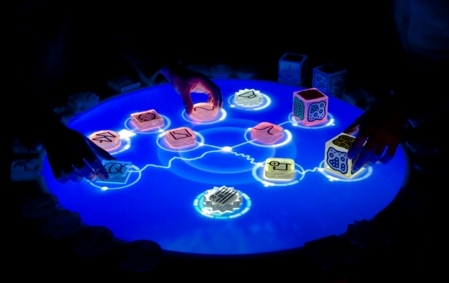 Der "Reactable Workshop" gibt die einzigartige Möglichkeit hands-on mit dem innovativen musikalischen Interface des reactable unter Anleitung des Co-Erfinders Martin Kaltenbrunner zu studieren und zu performieren. the Interface Culture Lab (http://www.interface.ufg.ac.at/) within the University of Art and Industrial Design in Linz. His research concentrates on tangible user interfaces and the development of novel human computer interaction concepts within open tools for creative production. 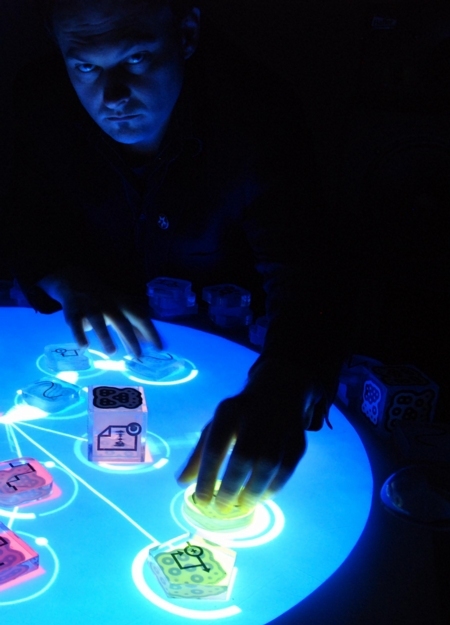 As co-founder of Reactable Systems (http://www.reactable.com/) he had been mainly working on the interaction design of the Reactable - an electronic musical instrument with a tangible user interface. He is author of the open source tangible interaction framework reacTIVision (http://reactivision.sourceforge.net/) and the related TUIO protocol (http://www.tuio.org/), which have been widely adopted for the realization of tangible tabletop applications.